Are we treating the REAL cause of persistent pain? The following blog is going to be a review of a recent study I read and a topic that has really been on my mind for the last several months. Essentially, from my visits to SomaSimple.com and reading Jason Silvernail and Barrett Dorko’s expert writing on the topic of pain, I have started to question my motivation for practicing the way I do. In making this short and simple, I will only say that being a reflective practitioner has made me question the framework I have chosen to use to treat my patients. When a client comes to be with chronic back pain, I assess them biomechanically and start manual therapy, patient education and corrective exercise to either “hold” the manual work I have done on them or to strengthen areas I deem as being weak leading to a painful dysfunction. But am I doing all that I can to help? Am I really even scratching the surface in terms of finding the cause of their pain? What if pain is actually all in the brain? What if the representation of pain from their back is so pronounced on their brain that manual therapy and exercise alone just won’t be enough? The article I read that discussed just this is called ‘A neuroscience approach to managing athletes with low back pain’. It comes from the journal Physical Therapy in Sport and was published in 2011. Basically, the premise of the article stipulates that recent neuroscience research into the biology of pain suggests that clinicians (me) involved in the management of the athlete with LPB should embrace a biopsychosocial approach by engaging the brain and nervous system. What does that mean? How does one even do such a thing? These are the questions I had and this article did a decent job of explaining it. As per the article, a true biopsychosocial model includes a greater understanding of how the nervous system processes injury, disease, pain, threat and emotion. 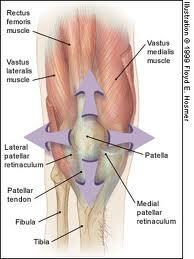 These components work homogenously to create the sensation of pain. This model includes several categories, some of which we are very good at working in at and others we probably should be doing more of. The categories include our working understanding of functional anatomy, biomechanics, tissue pathology, pain mechanisms, representation, psychosocial issues, and fear avoidance. For me, the most interesting of these categories is representation. Essentially, this model of pain takes on the brain and its processing of pain to treat a patient. New functional MRI (fMRI) scans have allowed scientist to show that when the brain processes information from tissues, many areas are activated to deal with the THREAT of an injury, disease, or situation. These areas, via connections in the brain, generate a “pain map”, which is commonly referred to as a Neuromatrix. The key point here is that the neuromatrix is NOT dependent on any specific tissue (disc, facet, nerve etc), but rather the impending THREAT of pain. “Emotional pain uses similar area to physical pain”. Therefore, if the sum result of the brains processing of information concludes that tissues are in danger (real or perceived), it is logical for the brain to produce pain as a means of protection. This means that anytime the brain perceives pain even from non painful stimuli such as bending forward, or back exercises, this map activates and pain is produced. The problem is when other “maps” form in the brain regarding beliefs, perceived knowledge about pain, and social issues are formed. We have all had those patients that just never seem to get better…don’t lie, I know you all have! Maybe with these patients treating their tissue through whatever technique or exercise you like to utilize is just not going to work. They might require a biospsychosocial model to help them understand their pain and reorganize those maps in their brains to really make them believe that hurt does NOT equal harm and that they will be just fine. The article makes the case that we must educate our patients on pain biology and why they feel pain. With a firmer understanding of their pain and why they experience it via educational sessions, it has been shown to have immediate improvements in patient’s moods regarding pain, improved physical capacity, and a better outlook on their future. Do NOT tell clients they have degenerative disc DISEASE! All they will here is that they have a disease and the fear and anxiety will surely become elevated. Instead tell them they are experiencing a normal phenomenon with ageing and that pain is only temporary and they should continue with their ADLs as tolerated. Do not show clients pictures of their herniated discs, osteophyets etc. This does nothing but make them think they have a physical deformity in their back that requires surgery or will never get better on their own. Instead, explain that thousands of people have the same imaging findings and have zero pain! There is very little correlation between MRI/Xray findings and pain. Explain that hurt does not equal harm and that pain will go away with appropriate care. Explain that manual therapy serves to reduce pain by stimulating the nervous system…not by moving a bone back in place. This breeds a dependence on passive care that, in my opinion, is so unfulfilling to treat. Include aerobic exercise into your treatment of chronic pain. Aerobic exercise has been shown to help clients who have a very widespread pain neuromatrix. It helps by increasing oxygen and blood to various tissues and has been shown to actually decrease nerve pain from sensitized nerves, help patients sleep better, improves mood and reduces depression. This article talked about so many great ideas on why we feel pain but I think I gave to the gist of it. Empower your patients to be active in their recovery. Challenge them to not let their pain “win” and they are stronger than their pain. For a phenomenal resource that can be easily used to teach pain concepts and why we experience it, I would urge you to check out the patient education book ‘The Pain Truth and Nothing But‘ By Dr. Bahram Jam of the Advanced Physical Therapy Education Institute. It is simple to read, funny at times, and highly entertaining. Puentedura, E., and A. Louw. “A Neuroscience Approach to Managing Athletes with Low Back Pain.” Physical Therapy in Sport 13 (2011): 123-33. Print. Functional rehab..what does it mean? “functional training” is now the standard for exercise programs these days. We all hear about sport specific training for sport specific results. While I think many of these concepts are great, I do think much of it is overkill. I may offend a few people here, but I feel like many trainers have “brainwashed” young athletes and their parents into thinking that they need to do highly specific and tailored training programs for little Johnny to make the NHL. All kinds of gizmos and gadgets have been produced to supposidly give athletes the “competitive edge”…just walk into any golf store and see the amount of complete rubbish there is out there. Ironically, the nature of golf is such that those that play the sport often have a little ( or a lot more) expendable income then those that play other sports. Funny how their are sooo many “must have” items being sold to golfers…i’ll let you draw your own conclusions as to why. How does all this relate to physiotherapy? It is my contention that no amount of sport specific or functional training will drastically help an athlete improve their game until their fundamental biomechanics are correct. You can’t build a house without first constructing a solid base…same goes for people! You can’t train a body if the body isn’t in a position to be trained…well you can, but the results will be minimal at best…and here is where i start my shpeal on WHY we develop low back pain and why training before correcting the WHY is a waste of time..and money! Clearly the bulk..i’d say about 75-80% of low back pain (LBP) patients I see cannot identify a particular offending event (no specific injury). Ironically, the onset of LBP is often associated with the very simple act of bending forward. In its simplest form, the body is a series of body parts linked together. Each segment has a specific role and influences its neighboring segments. Issues arise when links or body segments assume an inappropriate role-that is a mobile segment becomes restricted or stable. This then forces the segments above and below that area to change their role. 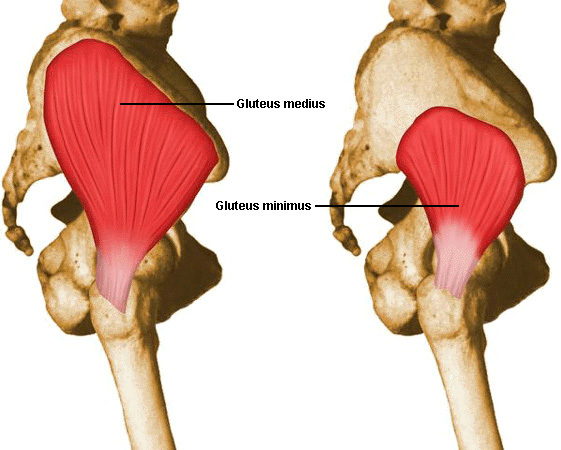 For example: When our hips get tight (from sitting so damn much) we have to find a way to keep our body mobile. 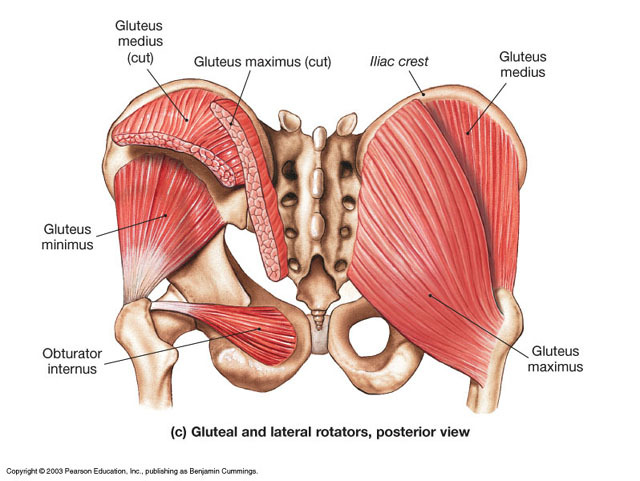 Our body does this by forcing the low back to move from a stable are to mobile area. This places stress on areas that shouldn’t have stress and a whole cascade of events can unfold…leading to pain. Remember that song we learned as kids…” the shin bone is connected to the leg bone, leg bone is connected to the hip bone…” That song was right on the mark…everything is connected!!! When the low back moves too much we develop pain in the back but possibly in other areas as well (neck and shoulders..even knees). It therefore makes little sense to me, to train an unstable area using mobile activities..such that are done in hockey and golf training. We must first fix the biomechanical problem before we can allow mobility drills to be done…functional rehab at its best! There are many things that can be done to fix seemingly unrelated problems. These include manual therapy, soft tissue release, postural reeducation and of course corrective exercises. If you are in pain and don’t know why, chances are something is “out of whack” and needs to be looked at. It’s been a while since I posted an article or “blog” post on my page. I just finished a few courses and needed to spend time doing a few other things over the weekends so writing took a backseat. Now I’m happy to report that I’m back and will start writing weekly posts again! Today I would like to talk about on of my favourite joints (Yes, I said favourite joint) in the body…the shoulder complex! There is so much stuff going on in the shoulder and rehab and treatment of shoulder pathology can be a tricky process. For starters, most people come to see me with shoulder pain after having the issue for months (or even years!) and they expect me to magically do something to their shoulder for the pain to go away…sigh. Short of an acute injury to the shoulder, most issues stem from muscle imbalances which occurred from over use, postural issues (a big one! ), or a combination of many biomechanical factors…which take time and diligence to go away. The discussion on how to assess the shoulder and surrounding area is beyond the scope of this post. I will simply state a few clinical “pearls” that often help with what is commonly known as subacromial impingement. When you get that “pinch” in your shoulder when raising your arm overhead, you may have the condition that I’m going to be talking about now. So what do I do about this problem…2 things come to mind first. Most of us are upper trap dominant and lose the ability to fully contract the lower traps and serratus anterior. If this happens, our arm bone will go up when we lift up our arm, but the shoulder blade will lag behind causing the bones to but up against one another as seen in the youtube clip above. How do I treat a classic subacromial impingement? I usually start my addressing biomechanical factors such as thoracic spine mobility. Manual therapy including mobilization, manipulation, ART, myofascial release, and PNF stretching work well to that end. But the REAL work is on the clients end. Some conditions respond well to passive care such as tension headaches or ankle stiffness (with exercises done as well). But shoulder issues are 90% on the patient and 10% on the therapist. That means I’m just the coach with these types of patients. I direct my patients on what to do and how do to the exercises and it’s up to them to adhere religiously to the program. It’s sad to say that this is why many shoulder clients fail to achieve maximal results…cause many want a “quick fix” which isn’t always possible. This is my new favourite exercise because it works so many things at once. It really gives you bang for your exercise buck! This simple yet highly effective exercise works the scapular retractors (rhomboids/middle traps), external rotators ( Teres Minor/Infraspinatus), and posteriorly tips the scapula which conteractes a tight pec minor which acts to anteriorly tip the scapula…which is a bad thing! With so many of us sitting in front of computers all day with slouched posture, doing upright rows to promote scapular retraction is critical. It also helps with thoracic spine extension! this exercise also works the serratus anterior but is less intense then the pushup plus. I give it to my older clients with shoulder issues or those who can’t get into a pushup position. These are starting point exercises for those with classic subacromial impingement. Overhead athletes will require more “functional” exercises since there shoulders usually have specific adaptations to the demands placed upon them from the game. Along with exercise, I often employ a stretching program since I find the posterior capsule to be an issue with many people who have shoulder pain. I also use my manual therapy skills to help restore motion and try to help with immediate pain reduction (not always successful) haha. Mike Reinold it an athletic therapist and physiotherapist for the Boston redsox and his posts on his site are great! I read them weekly. Please comment with anything you do for your shoulder clients. It’s all good in my books. Dr. Greg Lehamn’s site: I advise you all to take a look..I can’t believe he lets us read ths stuff for free!